THE warmer weather has locals flocking to the beach but a popular family swimming hole remains closed at Bargara. The lagoon at Moneys Creek closes several times a year, depending on the weather and sand movements in the area. The water quality has dropped significantly in the past two weeks, provoking the council to closing it to the public. 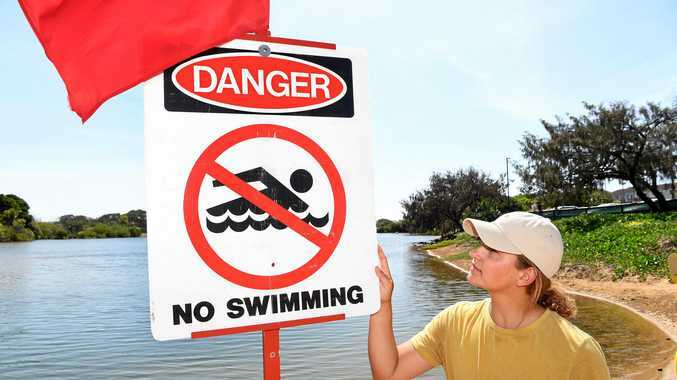 A Bundaberg Regional Council spokeswoman said they were aware of the state of the water and said people shouldn't swim in the lagoon during this time. "The lagoon will be reopened after ocean water flushing occurs and the water quality becomes acceptable," she said. "The water quality is tested regularly and when the results are above national guidelines for swimming areas, the lagoon is closed until tests show results within an acceptable range." The council plans to undertake further sand shifting this week, which should enable adequate flushing to improve water quality. 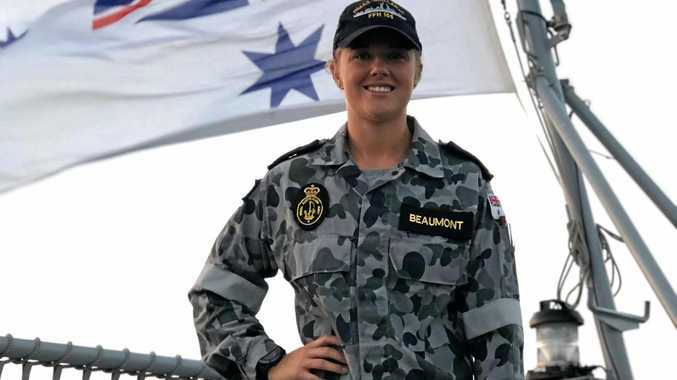 Burnett Heads resident Georgia Dayman, 18, loves spending her free time by the ocean and was shocked to see the council's warning signs yesterday. "I would normally swim there," she said. "I don't have a problem with it being closed if they are getting it cleaned out." In January a Brisbane woman visiting Bundaberg on holidays said she was shocked to see people letting their children swim in Moneys Creek in water she described as putrid and green. Yvonne Quelhurst said she loved Bargara and was a regular visitor but the state of Moneys Creek had her concerned. According to the council's website the tidal gates will operate in conjunction with tides that are high enough to allow sea water to enter the lagoon and to enable the lagoon water to flush out, allowing a mix of fresh and salt water and the movement of fish through the causeway. The gates are due to open today until Friday. This procedure is typically carried out in conjunction with a full or new moon tide. In recent years residents have raised their concerns reporting not only poor water quality but also fish kills in the area.